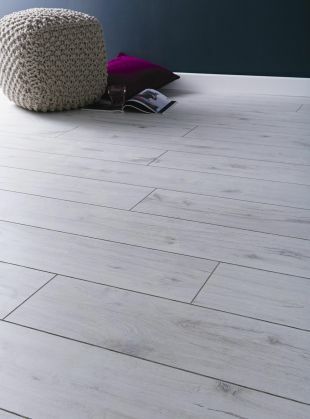 Laminate flooring is a hardwearing, low maintenance and cost effective flooring option – many laminates now offer a 20 year wear warranty. Laminate floors have come a long way in recent years and has improved greatly in quality. The traditional wood finishes now have very convincing textured finishes so you can create a stunning statement with your floor. 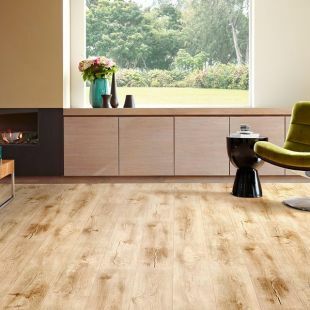 Whether you are looking to create a rustic look with warm oak colours or create a modern feel using whites or greys, there is something to suit everyone. We are really pleased with the laminate flooring fitted in our hall, kitchen and dining room – the new floor has transformed the rooms. There was so much choice it was hard to choose! We are so pleased with our floor.